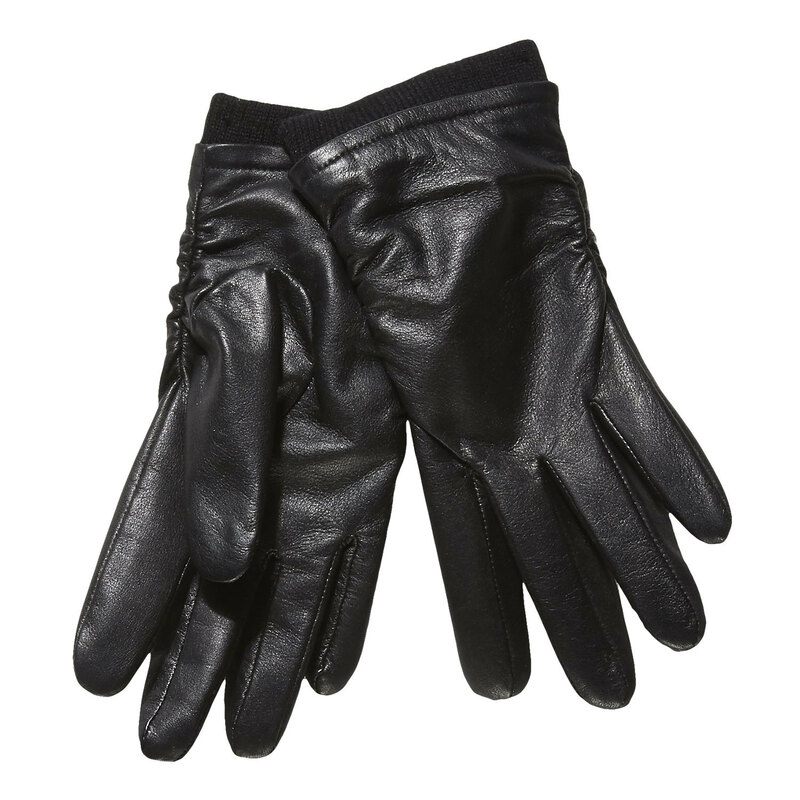 Elegant ladies' gloves made of smooth black leather with a slight crease on the sides. The short knit around the strip will increase comfort for your hands. They will go with both elegant coats and winter jackets. The universal colour will readily combine with other accessories.